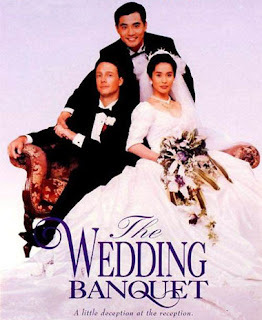 The Wedding Banquet feels a bit dated and yet still ahead of its time - so does that make it current day? The story of a Chinese immigrant desperately trying to hide his boyfriend from his visiting parents. The beginning scenes had me worried that the whole thing would be seriously cheesey, but I ended up really liking this film. Everyone is just so darn likeable and you end up rooting for everyone. I took Chinese for 2 semesters and we watched a lot of Chinese/Chinese-American films and all the ones I remember were great. There was this one, Eat Drink Man Woman and In the Mood for Love. Eat Drink Man Woman was probably my favorite. They remade it into English/Spanish with Tortilla Soup.